Indira Gandhi International Airport or IGI Airport is located in Palam which is 15 km southwest of New Delhi railway station. 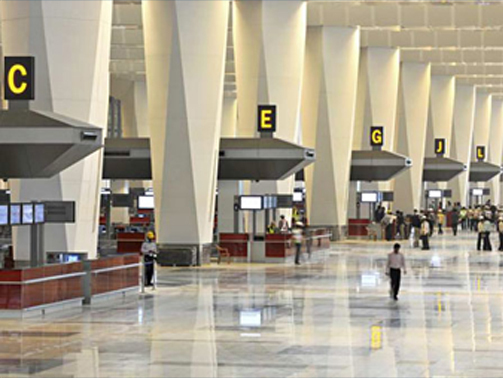 Named after the 1st Women Prime Minister of India, the airport supports more than 40 million of passengers in a year. Spread over an area of 5,106 acres, the airport becomes India’s and South Asia’s largest aviation hub. The airport has won the awards for The ‘Best Airport in Central Asia/India’ and ‘Best Airport Staff in Central Asia/India’ at the Skytrax World Airport Awards in the year 2015.